Facebook Chief Technology Officer Mike Shroepfer today wrote a blog post outlining several changes that are being made to Facebook APIs to limit the amount of data apps can collect from Facebook users. Changes are being made to the Events, Groups, and Pages API to cut down on what apps can see. With the Events API, for example, apps will no longer be able to access attendees or posts on the event wall, and the Groups API will no longer provide member lists or names associated with posts or comments. Facebook will also now need to approve third-party access to both Groups and Pages APIs, and, as mentioned previously, all apps that access information like check-ins, photos, posts, and videos. Apps will no longer be able to see religious or political views, relationship status, education, work history, and tons more, all of which was previously readily available. It is also no longer possible to search for a person's phone number or email address to locate them on Facebook. 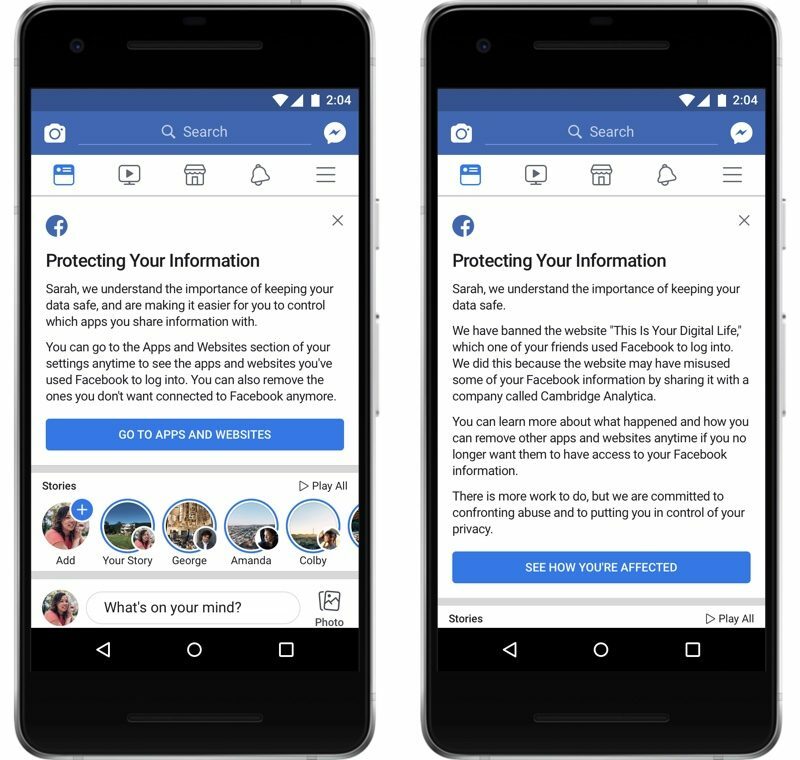 Facebook says "malicious actors" have used this feature to "scrape public profile information" using data pulled from search and account recovery options. For Android users, Facebook had been collecting call and message logs to enable Messenger features. Facebook says it will delete all logs older than a year and will upload less data to its servers going forward. Starting next Monday, Facebook will also introduce a link at the top of the News Feed to let all users see what apps are installed and what information has been shared with those apps to make it easy for less technically savvy users to remove apps. The Facebook privacy changes come in the wake of the ongoing Cambridge Analytica scandal, where Cambridge Analytica used personal data acquired from Facebook in an illicit manner by a third-party app to create targeted political advertisements during the 2016 election. 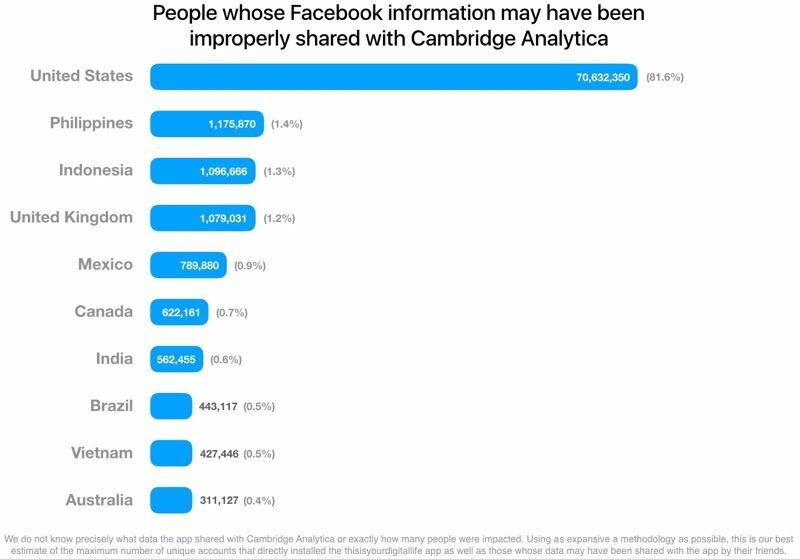 Originally, Facebook said Cambridge Analytica was able to collect data on 50 million Facebook users, but today, Facebook clarified that it actually had access to the Facebook data from up to 87 million people, with 70 million of those in the United States. Seven Apple executives this week received major stock awards after restricted stock units or RSUs awarded in 2014 and 2015 vested. 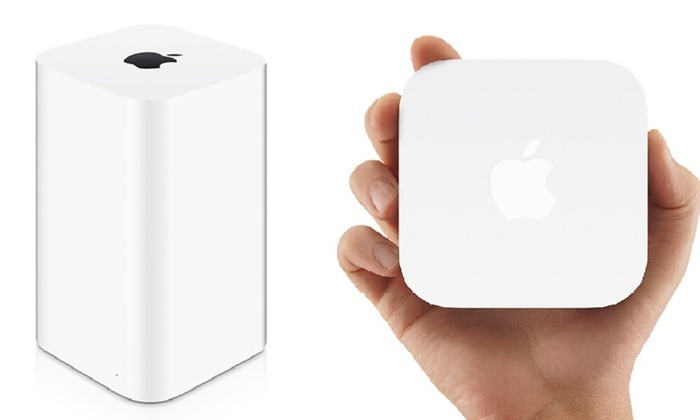 Apple issues RSUs to its executives as bonus compensation, with the restricted units vesting after a set period of time as long as the employee stays with the company. 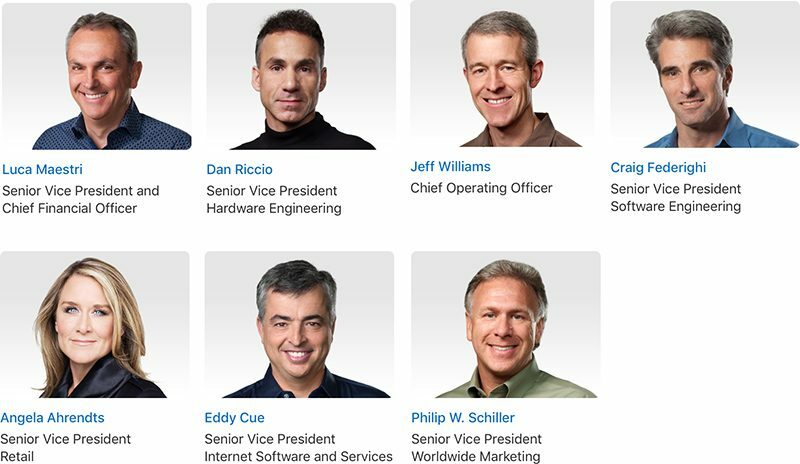 Phil Schiller, Dan Riccio, Jeff Williams, and Eddy Cue all received 130,117 shares, worth more than $22 million at Apple's current price per share. Luca Maestri, Angela Ahrendts, and Craig Federighi all received ~77,000 shares. Shares received by each were originally awarded on March 3, 2014; October 17, 2014; and October 5, 2015, with Riccio, Williams, Cue, and Schiller receiving stock from all three dates and Maestri, Ahrendts, and Federighi receiving stock from the October awards. The March 2014 award has now fully vested for employees who received it, while employees who received the other two rewards will see additional shares vest on April 1, 2019 and April 1, 2020. John Giannandrea, Google’s former head of search and artificial intelligence, is joining Apple. The hire, first reported by The New York Times, comes one day after the executive announced he was stepping down from his role at Google, itself a surprise move amid a broader executive reshuffle that now makes much more sense in hindsight. Giannandrea, a machine learning expert who joined Google back in 2010, is a huge get for Apple, which has struggled for years to make progress in fast-moving and increasingly important AI fields like computer vision and natural language processing. Giannandrea will report directly to CEO Tim Cook as the leader of “machine learning and AI strategy,” according to the Times. 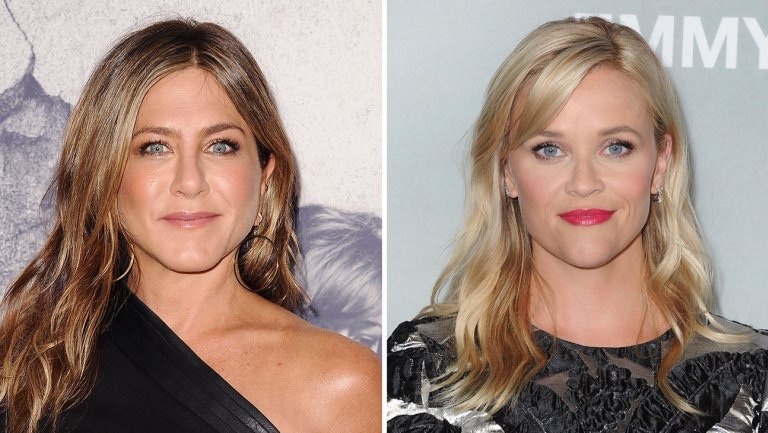 One of the TV shows Apple has in the works, a "morning show drama" starring Reese Witherspoon and Jennifer Aniston, is getting a new show-runner, reports Variety. The original showrunner and creator, Jay Carson, had planned to work with Apple on the series, but he has departed over creative differences. Kerry Ehrin, known for "Bates Motel," is instead set to take over and is close to inking a deal with Apple. Ehrin was the co-creator, executive producer, and showrunner of "Bates Motel." Apple has signed a deal for two seasons of the as-of-yet untitled morning show drama, each with 10 episodes. The show, based on the 2013 book "Top of the Morning" by Brian Stelter, takes a look inside the cutthroat world of morning television. Stelter's book was based on the rivalry between NBC's "Today" and ABC's "Good Morning America." Apple has multiple TV shows in the works, all of which are outlined in the original content section of our Apple TV roundup. Rumors have suggested the first of Apple's TV shows could debut in 2019.